By overtaking India’s homegrown smartphone brand Micromax, Apple India has become the country’s second-largest smartphone maker by revenue in the fiscal year to March 2016. Apple’s revenues from smartphone sales grew by 54 percent in FY16 to Rs 9,997.1 crore as compared to Rs 6472.89 crore last year, touching almost Rs 10,000-crore sales milestone in less than a decade of its operations. With these smartphone sales, company’s net profit rose 21 percent to Rs 294 crore. On the other hand, Micromax Informatics sales in 2015-16 were Rs 9,825.46 dipping by 6 percent unable to compete with the Chinese handset competition. Currently, there are estimated to be around five million iPhone users in India. Analysts believe Apple’s sales last fiscal was driven extensively by the older iPhone 5s, contributing 50 percent of its revenues. “Apple has been growing sales in India largely with the older iPhone models by cutting their prices. Hence, the company saw a huge potential with company-certified refurbished iPhones which could have been attractively priced,” a senior industry official told ET. Samsung leading the market with 22.6 percent shares and Micromax at second spot at 9.9 percent. 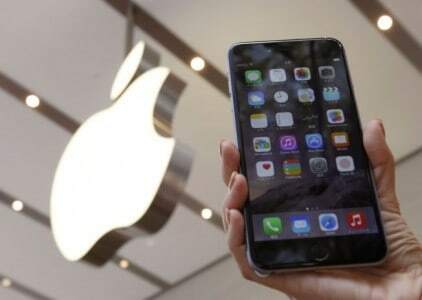 However, according to Hong Kong-based research firm Counterpoint Technology Market Research, in the premium smartphone segment, Apple has expanded its lead over Samsung with 66 percent share while the Samsung is at second position with 23 percent share due to fiasco of Galaxy Note 7. After trumping Micromax, Apple will be competing Lenovo which last fiscal doubled its sales at Rs 10,483.62 crore driven largely by the smartphone business of its two brands, Lenovo and Motorola.